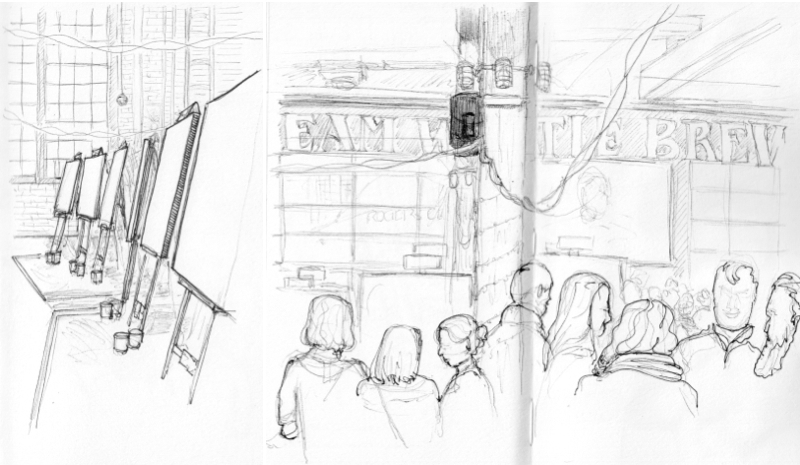 I attended the Holiday Art Battle and did a little urban sketching while on site. 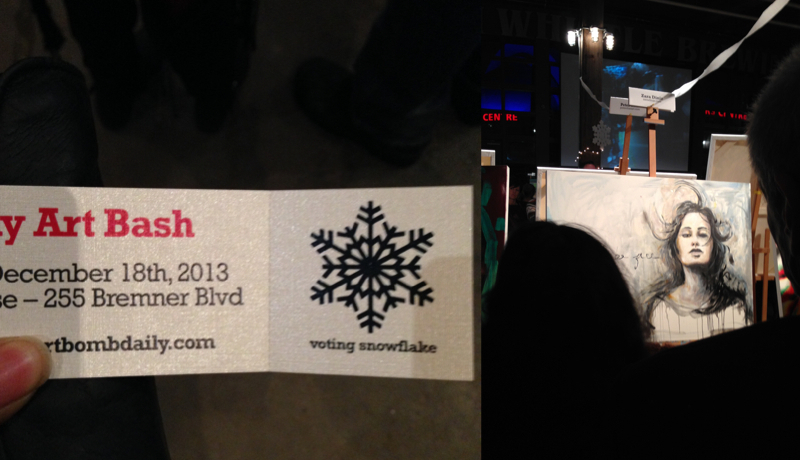 The event took place at the Steam Whistle Roundhouse, which is a beautiful space. The canvas were bigger than the ones in the previous Art Battle event I attended a couple weeks before, so we only got to vote once. Once again, it was great to see live painting and how each artist had their own painting strategies to tackle such a bit canvas in 45 minutes. Some started by tracing an outline, some started with shading and others went straight for the background first. After the painting session, the artwork were auctioned off to the public. The winning art piece sold for $1100.